I might have to check this one out. I haven't seen anything else about this anywhere. Looks like another one I am gonna have to check out. The idea of a grittier than HP magical world series intrigues me. Good review! Definitely a book for me. I read all HP books and watched the Narnia movies. A darker version of HP is cool. 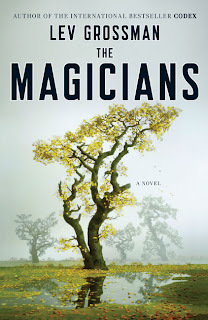 Fantasy Book Review: The Magicians by Lev Grossman. 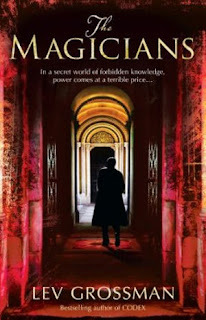 Excerpt The World in the Walls by Christopher Plover - the novel within a novel in The Magicians. This definitely sounds like something I want to get my hands on. Thanks for the review! so damn excited about this book. I've got The Magicians sitting in my TBR pile. It's been there gathering dust for about a year now because much as I want to read it, I hated Codex and that's sort of putting me off a bit. Reading your review though I see you weren't fond of Codex either but still liked Magicians a lot so I might bump it up the pile now.